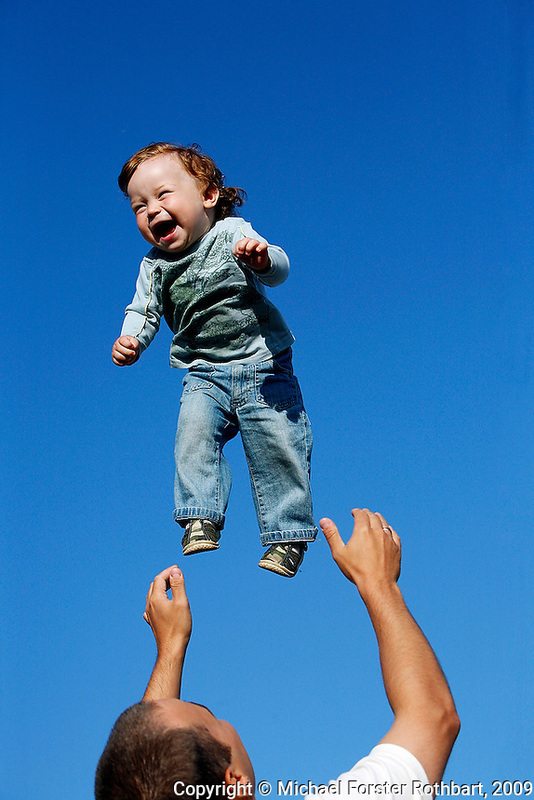 Andrei Balta throws his fifteen-month-old son Vanya in the air during a summer evening in Slavutych, Ukraine. Andrei and his wife Anna both work at the nearby Chernobyl Nuclear Power Plant, as do over 3,800 residents of Slavutych. Original caption: .Andrei Balta throws his fifteen-month-old son Vanya in the air during a summer evening in Slavutych, Ukraine. Every evening, parents with babies and toddlers gather in the central square of Slavutych to socialize. Andrei and his wife Anna both work at the nearby Chernobyl Nuclear Power Plant, as do over 3,800 residents of Slavutych.